The project BRIGH@EU is finalizing its activity, we are finishing with the last modifications of the platfrom. The final press release you can find here. In all partner countries the dissemination workshops with presenting our projects outputs are just realized. The results of the pilot testing survey is available here. 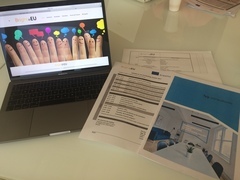 During November and December 2017 will be realized in all partner countries the brainstorming meetings of the educational experts discussing train the trainer methodology of the BRIGHT@EU project. You can enjoy the PR video of the BRIGHT@EU project! The Spanish partner has developed a great video to promote the activity and outputs of the BRIGHT@EU project. You can find it here. On 14 July 2017, the Cypriot Parliament approved the law amending Section 2 of the Income Tax Law (ITL) with respect to the tax residency of individuals. The amending legislation will be effective retroactively as of 1 January 2017. More detailed information you can read here. Read a review of the French labor law in light of the recent changes brought by the law n ° 2016-1088 of August 8th, 2016 relating to the work, the modernization of the social dialogue and the securing of the career paths. 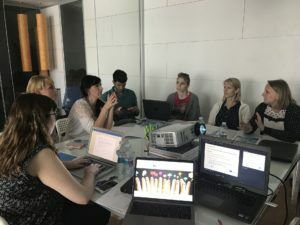 The last project meeting was realized in Valencia at the end of May. We have discussed the demo version of the technical environment of the platform and now we are ready to put all the texts there. We prepare the pilot testing in our countries. 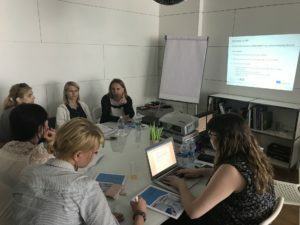 We have published the 2nd newsletter in English, where you can find informarmation from our project meeting, printscreen of demoversion of our online platform and exmples of our disemination activities. You can upload it here: Newsletter 2_November. Read the short article about new legislative for data protection in EU. Link here: Data Protection changes 2o18. All detailed information you will find in our online platform. 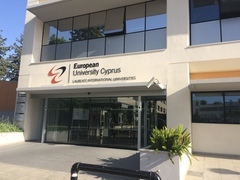 Our project team participated in the 3rd project meeting in European University of Cyprus on 2nd - 3rd of October. During our two days session we discussed the last issues concerning the development of specialized texts and presented the first demoversion of our online platform. Finally we have a great dinner with the typical Cyprese meal with nice people and atmosphere. We have published the 1st newsletter informing about the realized project activities. You can display newsletter HERE. 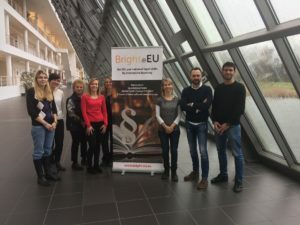 The second meeting of all partners in BRIGHT project was realized in Germany in the impressive spaces of the Institute for Work and Technology in Gelsenkirchen. 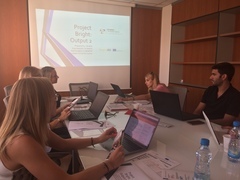 We have discussed the last requirements for Output 1 - Curriculum and Report and the way of the survey for target group for Output 2. 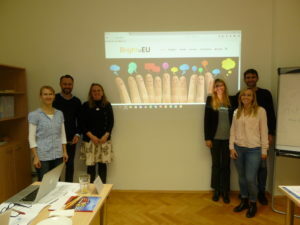 First transnational meeting of the BRIGHT@EU project = 3 partners in Prague, meeting was situated in the office of the coordinator – bit cz training, s.r.o. Introduction of the partners, set of presentations and list of tasks for all partners - meeting in a nutshell. We have discussed some hot issues of the project – leaving our Italian partner. We have found a new great partner from Germany and we are processing the change of the project. BRIGHT@EU project started on 1.10.2016 with 4 partners. We are just developing the project management tools (handbook, dissemination plan, websites, project logo, roll-ups etc.) Together we are starting to work on the analysis for Report on EU@National Laws.